Mark Rogers: the stupidest Trojan Horse response yet? It’s hard to overstate the stupidity and irresponsibility of this from someone in Mr Rogers’ high office. First, of course, it is simply a lie. No one, let alone “whole communities,” has been mislabelled as “extremist” or a “terrorist in the making” by Ofsted or anyone else. A handful of individuals have been correctly labelled as extremists by journalists (me included) but none by Ofsted or the Government. No one has been labelled as a would-be terrorist by anyone, ever. Most importantly, of course, no statements whatsoever have been made by the Government or anyone else that the whole Muslim community in Birmingham is extremist or terrorist. Indeed, most of the coverage, mine included, has made clear that large sections of the community in Alum Rock opposed the hardline agenda pursued in the schools. Not all Muslims are “devout,” as Mr Rogers seems to think. It is significant that he defines Muslim people, unlike any other people, through the prism of their faith. The claim that a whole community has been accused of proto-terrorism is a straw man that even the worst Socialist Workers’ Party frothers in the Hands off Birmingham Schools campaign haven’t yet tried. But Mr Rogers is chief executive of the city council, and one of the duties of that council is presumably to promote community cohesion. His words can only harm community cohesion by giving succour to those who want to persuade the whole Muslim community that they are under attack by a racist establishment. And if anyone has associated Birmingham Muslims with terrorism, it’s now him. Mr Rogers’ other straw man – which the council leader, Sir Albert Bore, and various equally dim luminaries also tried in some of the papers at the weekend – is to claim that any attack on the city council as a despicable slander on Birmingham itself. The chief executive of the city’s chamber of commerce, Jerry Blackett, accused the chief inspector of schools, Sir Michael Wilshaw, of making a “full-on attack on the city of Birmingham” over the affair. No he didn’t – he attacked the council (in fairly careful terms). And he was right to. 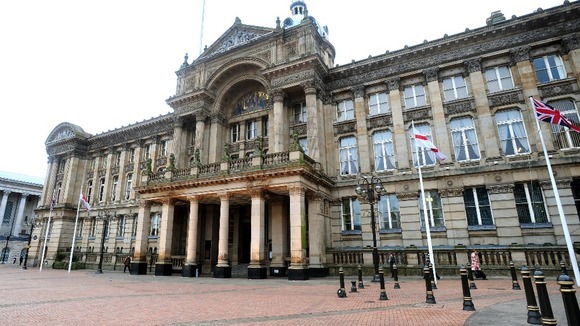 The fact is that the city council has long been recognised as part of Birmingham’s problem. As the former Labour Education Minister and Transport Secretary, Lord Adonis (one of many critics) put it long before Trojan Horse in his seminal lecture to the Birmingham Lunar Society in 2011, it “needs to raise its game significantly in terms of leadership, performance and strategy”. As I’ve said before, it’s really telling when people have to create straw man charges to defend themselves. It means that they have no defence to the real charges. Look forward to a similar exercise from the council’s Kershaw review this month. More strategically, I can’t help wondering whether the council’s latest burst of denial is sensible when there is serious talk of taking some of its functions away. Does it actually want to be emasculated? Birmingham City Council’s leader, Sir Albert Bore, today attacked the Telegraph for its “wholly reprehensible and completely unacceptable” publication of a leaked Department for Education report into three of the so-called “Trojan Horse” schools taken over by Muslim hardliners. This is what in the trade is called “deflection”: try to make the story about the leaking of the report, rather than the contents of it. It’s not hard to understand why Sir Albert wants to change the subject. The contents of the leaked report – which substantiate many of the claims made against the schools – make his and his council’s past behaviour look rather silly. Within days, however, the council announced that it had frozen the recruitment of school governors and was setting up a six-month enquiry after receiving around 200 complaints from parents and teachers. Sir Albert now announces that the council is setting up a whistleblowing hotline for parents and teachers, saying that it has “received information in respect of 25 schools.” He named 18 of them today – a list that accords almost exactly with that published in the Telegraph at the weekend. Nor, of course, has Sir Albert or anyone else denied the central charge of our story – that six of the schools on the list will be rated “inadequate” for leadership and governance (one already is), something which usually leads to special measures. The members also include an as yet unnamed representative of the hardline Birmingham Central Mosque – the organisation which last month banned the BBC from asking on its premises whether it was all right to be Muslim and gay. Until his recent death, the mosque representative was to have been its chairman, Mohammad Naseem, who recently appeared to compare gay people to murderers and paedophiles. The council has known about the Trojan Horse allegations for around six months – and known that something is wrong for a lot longer. It repeatedly ignored concerns raised in private. It only acted once the allegations got into the media. That, in short, is the value of disclosure. The schools inspected so far are: Adderley, Alston, Golden Hillock, Gracelands, Highfield, Ladypool, Marlborough, Montgomery, Nansen, Ninestiles, Oldknow, Park View, Regents Park, Saltley, Small Heath, Washwood Heath, Waverley and Welford. Read extracts from the leaked report here.